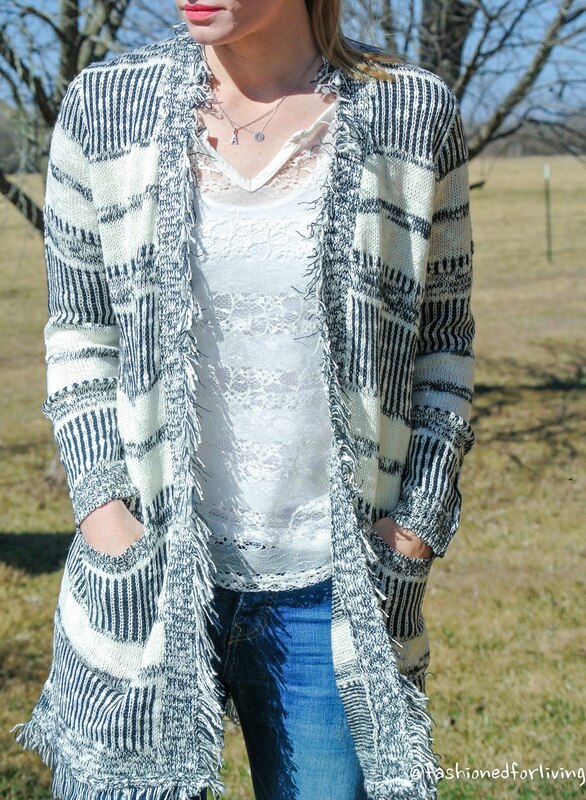 I am so in love with this cardigan! It is going to be a great transition piece to pair with shorts and it has pockets! boyfriend jeans - Old Navy - Similar style, mine are from last year. I am wearing two sizes down from my normal size for a more fitted look. lace shirt - Mine is from several years ago. linked a super cute option. denim on denim. flare jeans outfit. frayed hem jeans outfit: heels. belted cardigan.